If you supply restaurants, kitchens, and other eateries, then you already know having a great food services company website is important. But, what makes a web presence a winner in such a fast-paced industry? This is a simple point, but one that’s easy to overlook. One of the best things you can do to make your web design successful is describe your business – accurately and in detail – on your homepage. Potential customers who stop by your food services company website for the first time want to know if you have what they need. You want them to be able to find that information in a few seconds or less. Nothing says as much about your products as a few high-quality photos. That isn’t just because pictures can get someone’s stomach growling (although that certainly helps), but also because they can let you show off things like color and consistency. If you don’t already have great photos of your products, you might decide to have some taken as part of your food services company web design project. Very few food services companies don’t have competitors. However, that doesn’t mean your website has to be indistinguishable from all the rest. You can make your business stand out by highlighting your history, your location, pricing, or even specialty products or ingredients. Think carefully about the reasons someone would call you instead of another supplier. Then make sure those advantages come through clearly in your web content. Your food services company website doesn’t only have to give out information. You can include online tools for repeat orders, shipment tracking, and billing so buyers can purchase from you any time of day or night. When integrated correctly, these types of features add to your bottom line while giving customers extra convenience and saving you money. Those are all great outcomes for your business. When it comes to food products, people tend to have a lot of questions. In particular, your customers might want details about taste, freshness, and allergies. Or, they may want to know where your ingredients come from, and whether they qualify as vegetarian, organic, or free-trade. You can use FAQs to deal with these types of concerns, and to add more search-friendly content to your food service company website. 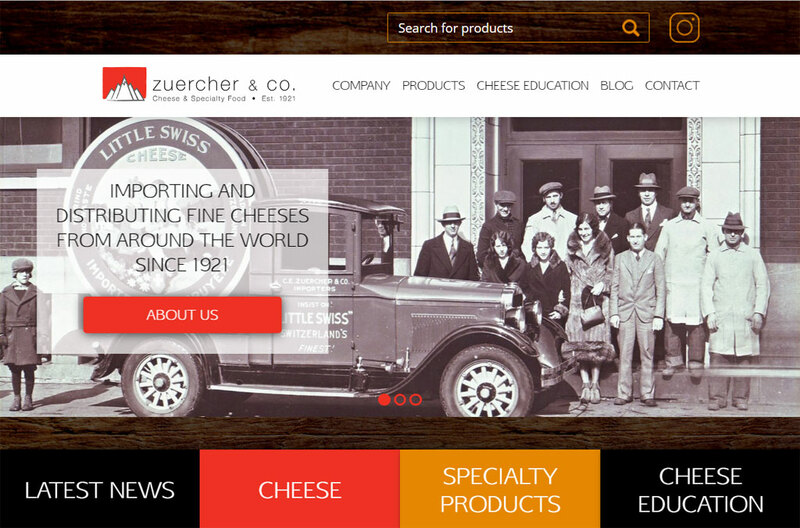 Need the Perfect Food Service Company Website? At Weblinx in Chicago, we can work with virtually any client or budget to create a web presence that doesn’t just look great but is a powerful business tool. If you need a food service company website that’s better than the rest, it’s time to contact us to setup a free consultation and let us put our skills and experience to work for your company.